Educational licenses are available in Canada below and in USA via ro*co films. Buy the Video on Demand educational version to watch the film on whatever device you choose, in any educational setting in Canada. Exclusive offer for teachers in British Columbia! 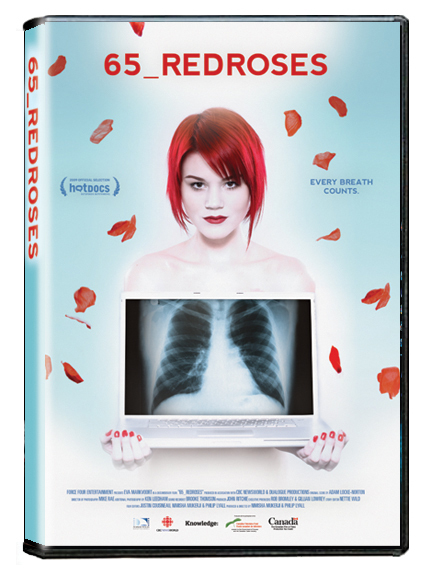 BC Transplant has licensed the film for unlimited classroom use for BC High Schools so the cost is only $15. 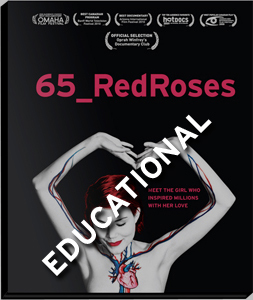 Purchase of the DVD gets you access to the downloadable Teacher’s Guide and the online version of the film for streaming. DVD boxed set with Teacher’s Guide. Purchase of the High School or University version grants a license to use the film for unlimited classroom and assembly screenings. Purchase of this DVD grants a license to use the film for library lending. BC Teacher’s Guide Available in French & English! Password to download the guide supplied with purchase or contact us. If you think our film belongs in schools, we agree! BC Transplant partnered with us to create the current version of our High School Teacher’s guide and to help get the film used in BC Schools. The guide was written by Stacy Brine – a teacher who happens to be Eva’s cousin. They also licensed the film for all of BC high schools. We are seeking more partners to help tailor study guide content for other markets and to subsidize costs to schools. Our mission is to have this wonderful film have a lasting impact through outreach to younger audiences. If you can help us with this, please get in touch! Only $15 for unlimited classroom use! Licensed by BC Transplant. Password for Teacher's Guide download supplied with purchase. All US educational sales ave through ro*co films.